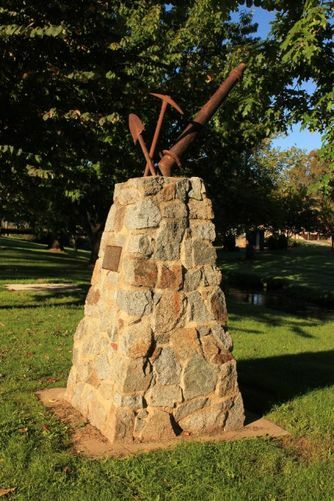 A monument commemorates the miners who worked on the Tumbarumba goldfields from 1850 to 1930. The monument is located in the park which was established in 1994 on the site of the original goldfield. between the 1850`s and the early 1930`s. This park was created in 1994 on the site of the original goldfield. western side of the park to where it is now. many mining families came and was used on the goldfields.